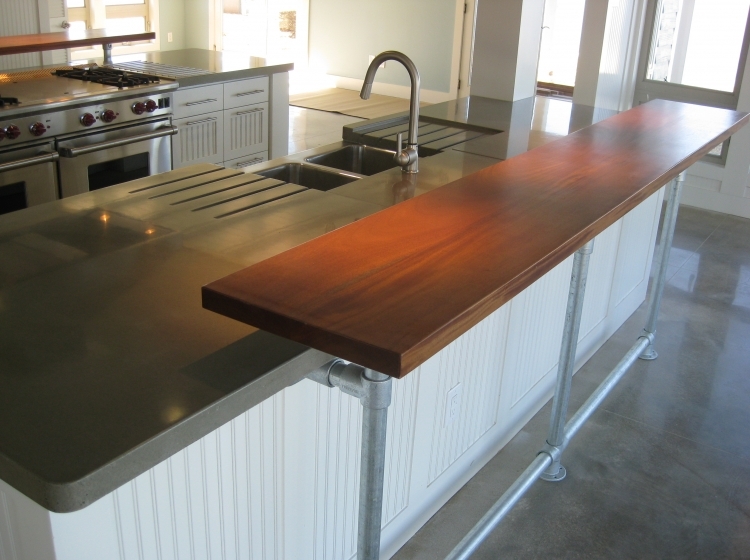 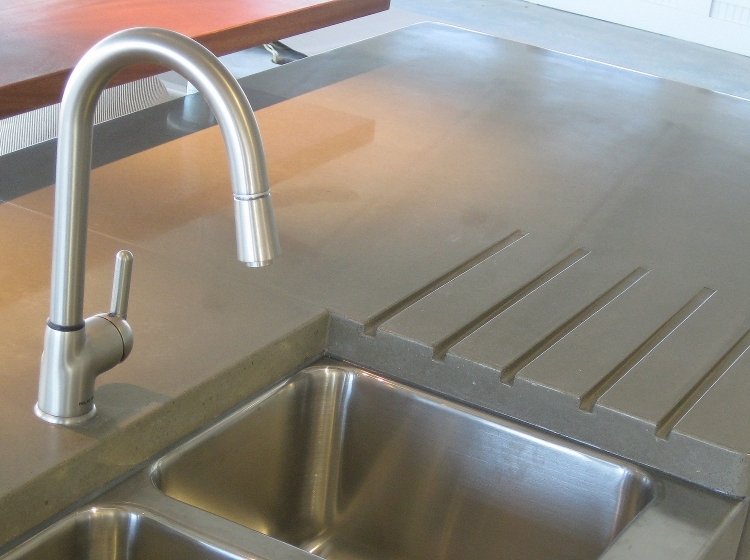 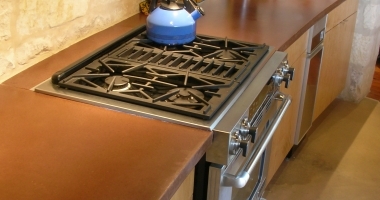 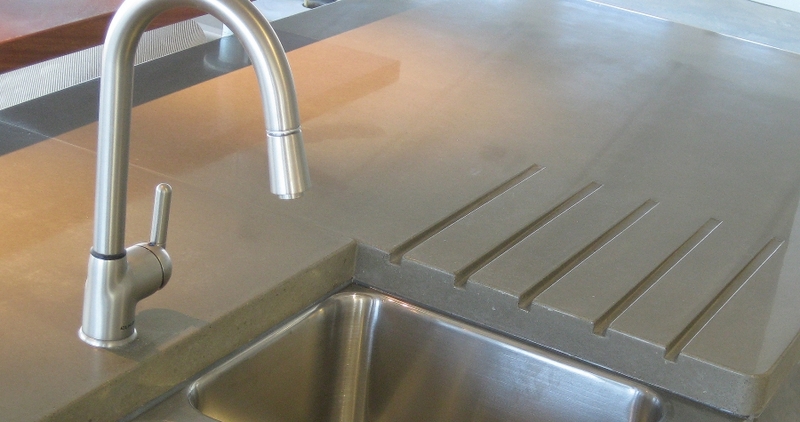 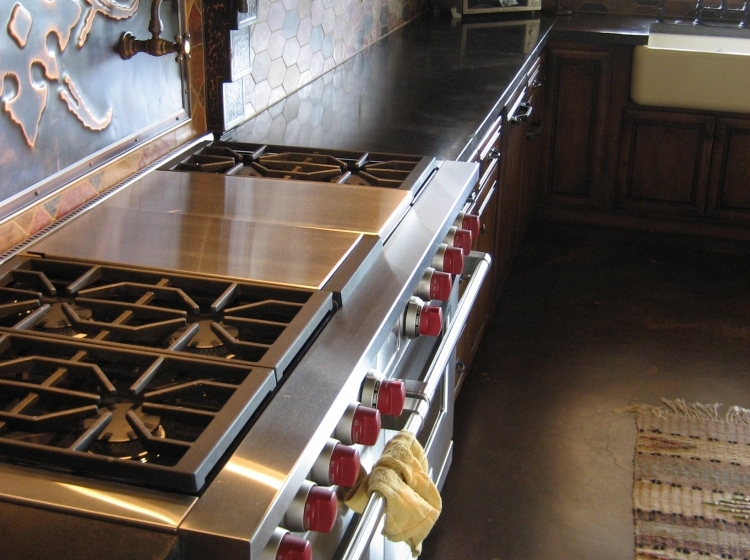 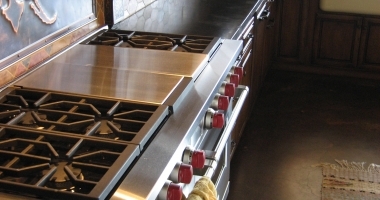 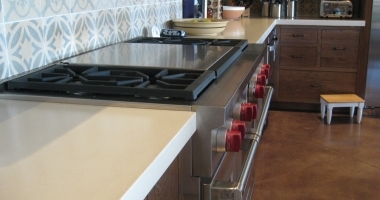 Natural grey concrete countertops are popular in modern and contemporary kitchens, adding an industrial look to these high end residential applications. 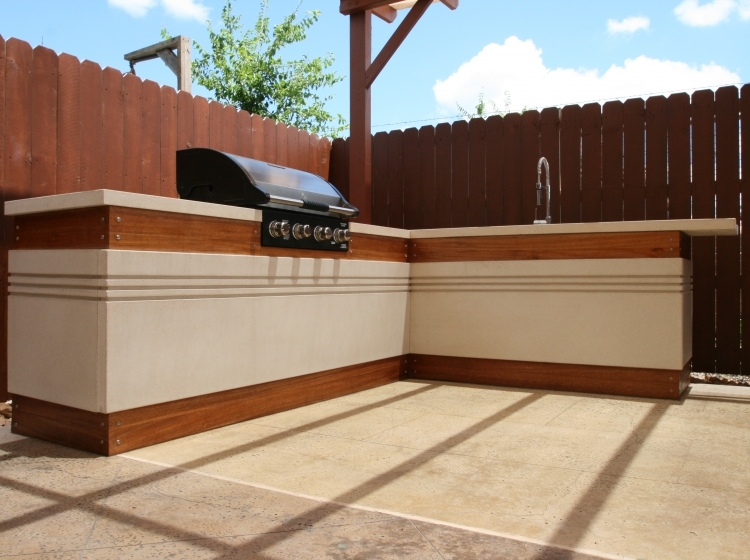 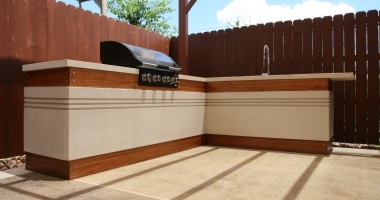 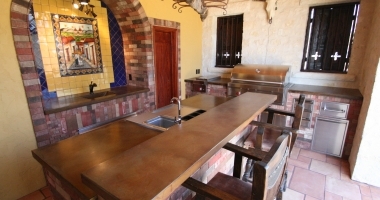 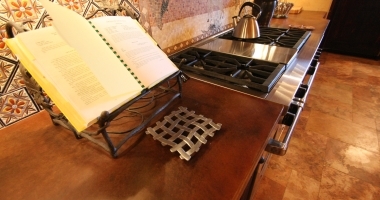 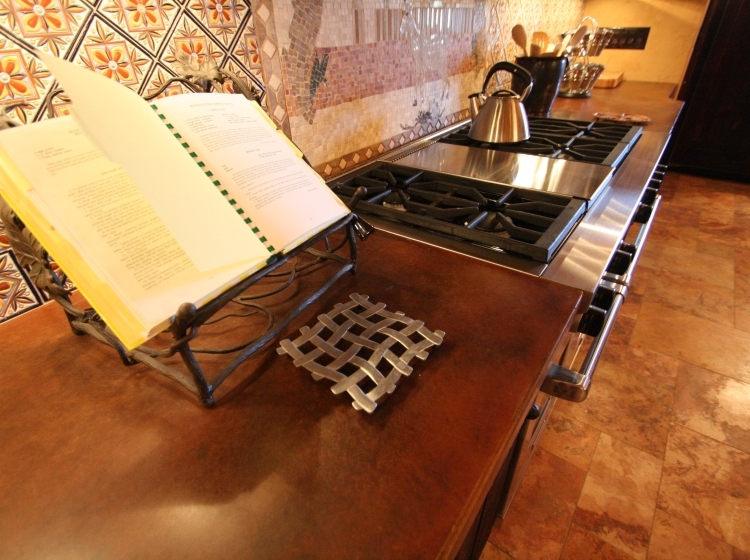 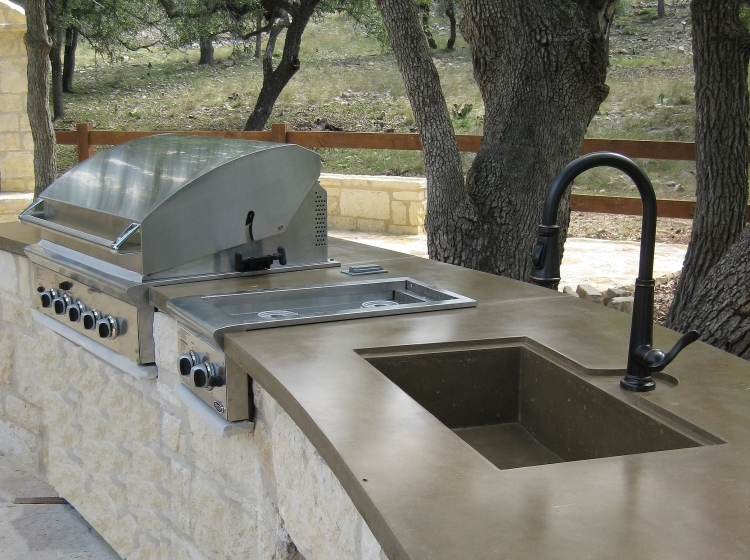 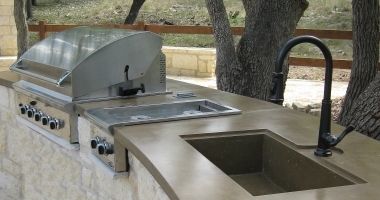 Offered as stained concrete countertops or premium polished concrete counters, our precast concrete countertops and concrete sinks are second to none in the San Antonio, TX marketplace in quality and concrete craftsmanship. 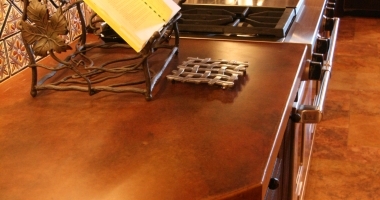 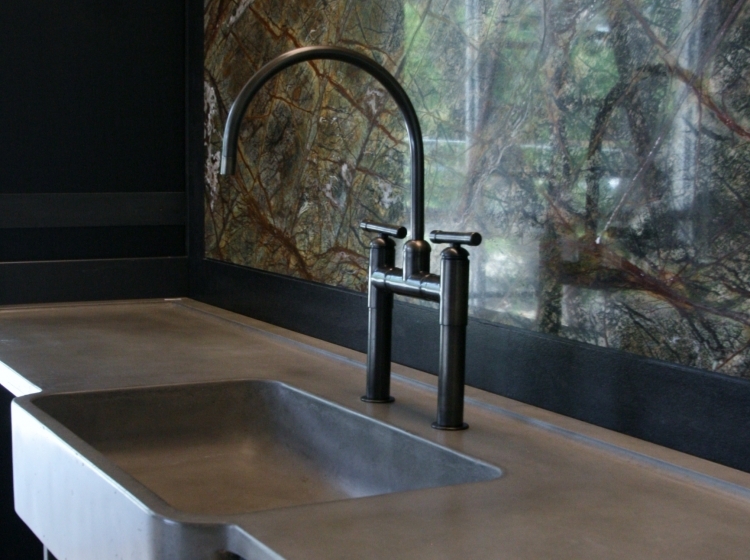 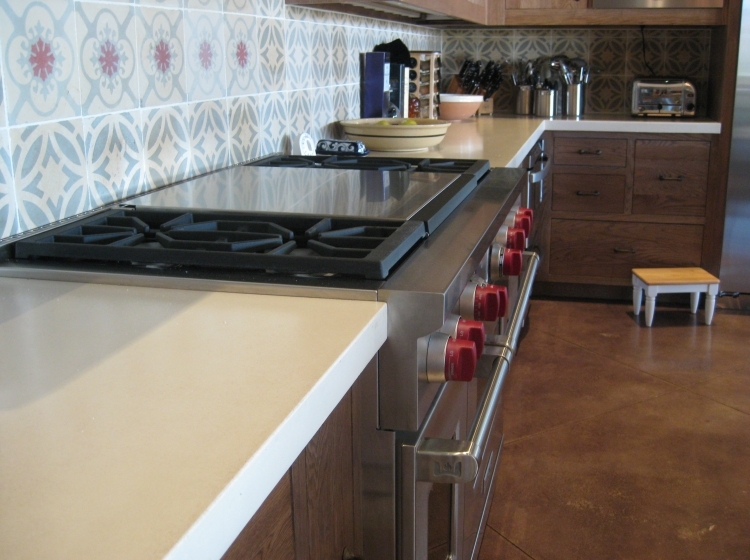 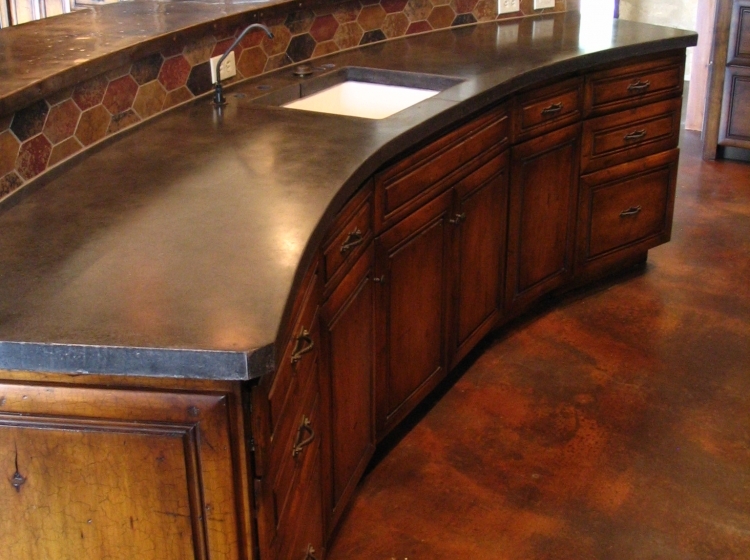 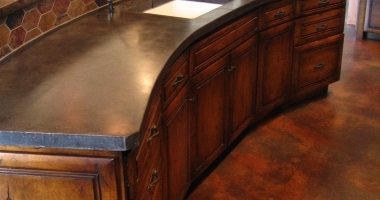 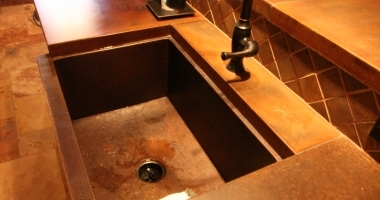 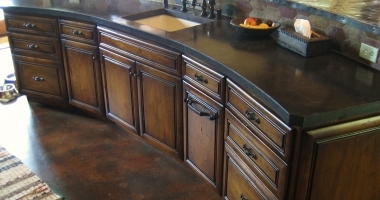 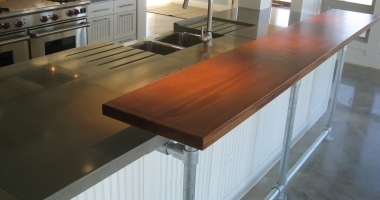 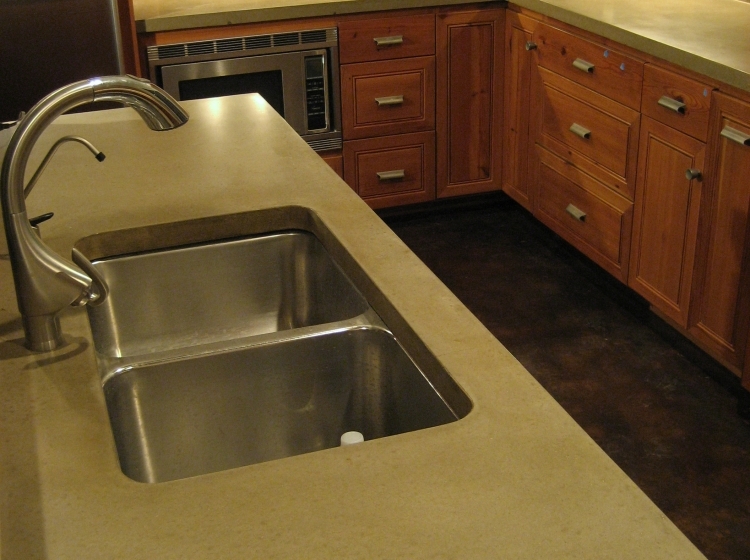 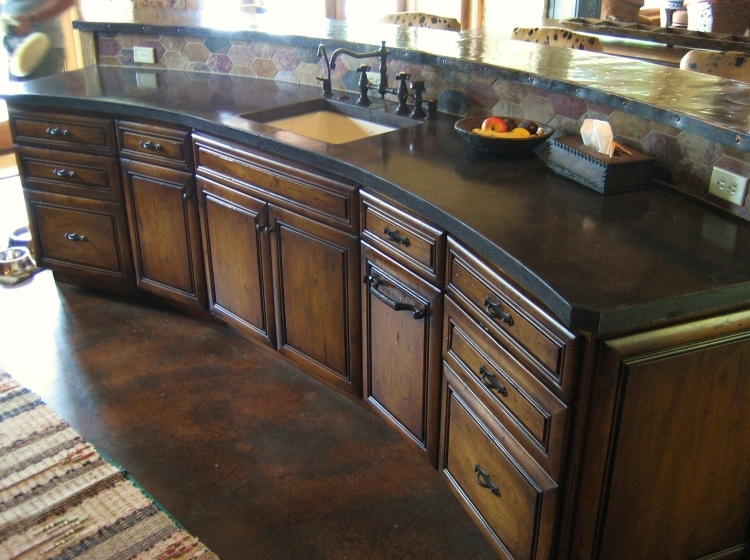 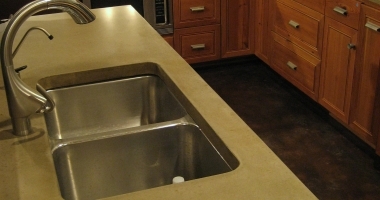 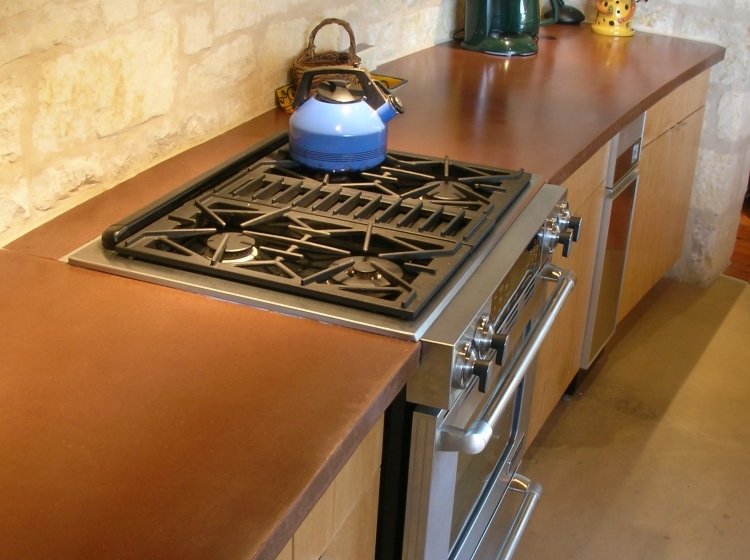 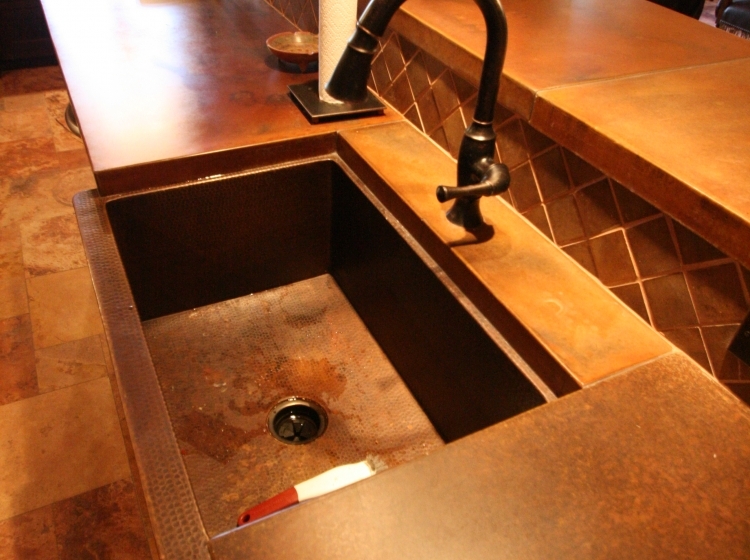 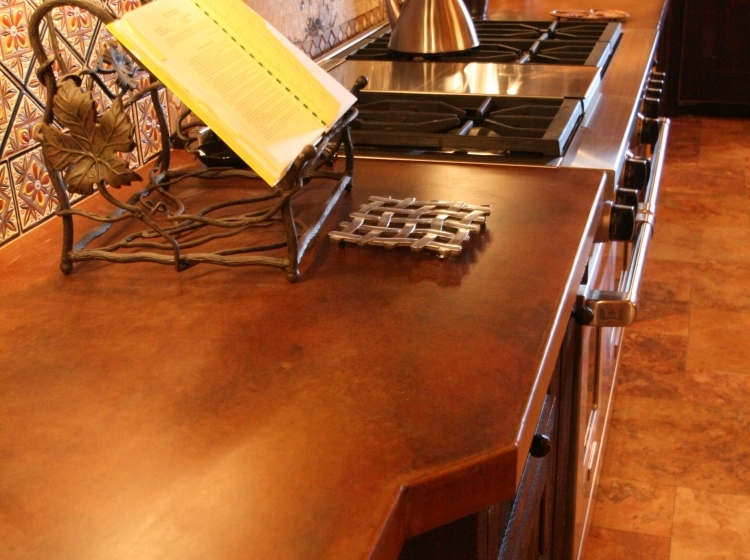 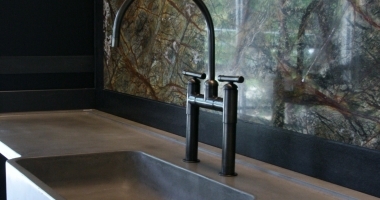 Riverbed Concrete's distinctive concrete countertops and concrete sinks are a unique way to set apart your San Antonio, TX, Austin, TX, Boerne, TX, and Hill Country, TX kitchen. 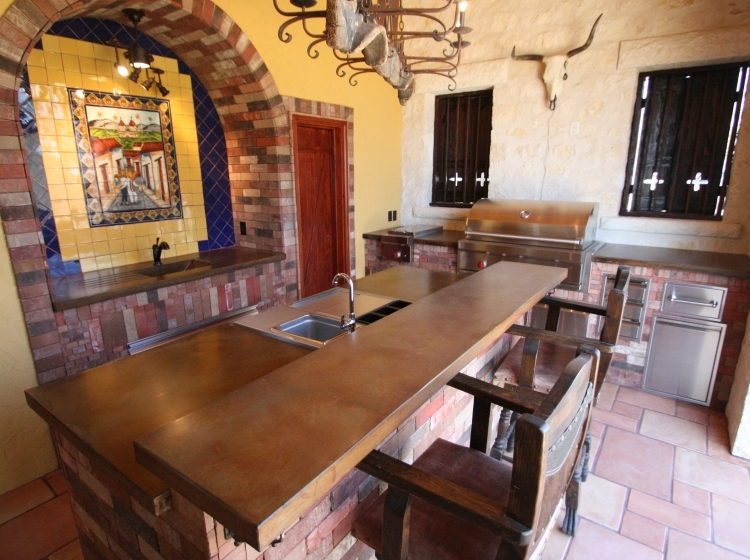 Featured in Parade of Homes kitchens, Extreme Makeover: Home Edition, I Hate My Bath, House Crashers, Bath Crashers, Boerne, Business Monthly, Explorer Magazine, Luxe Magazine, Architectural Digest, Austin-San Antonio Urban Home, Commercial Contractor as well as luxury homes, Riverbed Concrete's pre-cast concrete countertops give a unique sense of interior design to any luxurious new or remodel kitchen application.